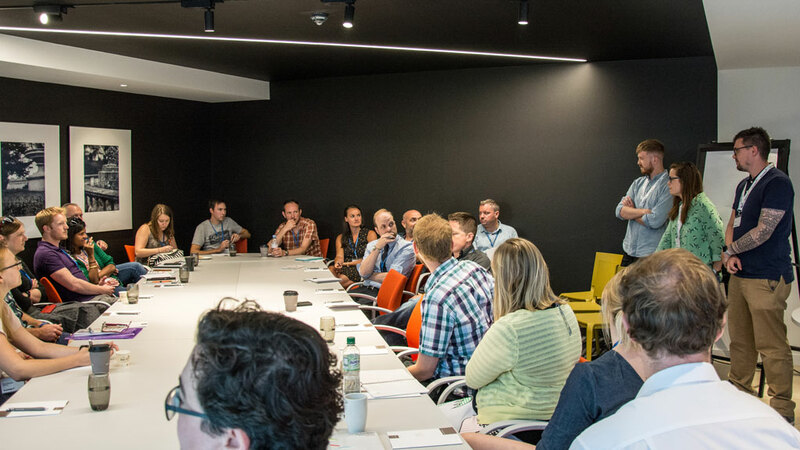 Following on from the success of our first full-day conference back in the Autumn of 2017, SearchStar hosted another afternoon of insight and thought-leadership, yesterday, this time focusing on the dynamic and increasingly important world of analytics and conversion. Over the course of the afternoon, speakers from SearchStar, Google and beyond covered everything from the nitty-gritty of updates to Google Analytics tracking and choosing the right attribution model for your business, through to how marketers need to change their mindset in order to make the most of the data that is becoming available to them. Alongside the presentations, collaborative peer-discussion sessions on both conversion and analytics provided delegates with the opportunity to share knowledge and debate common issues. 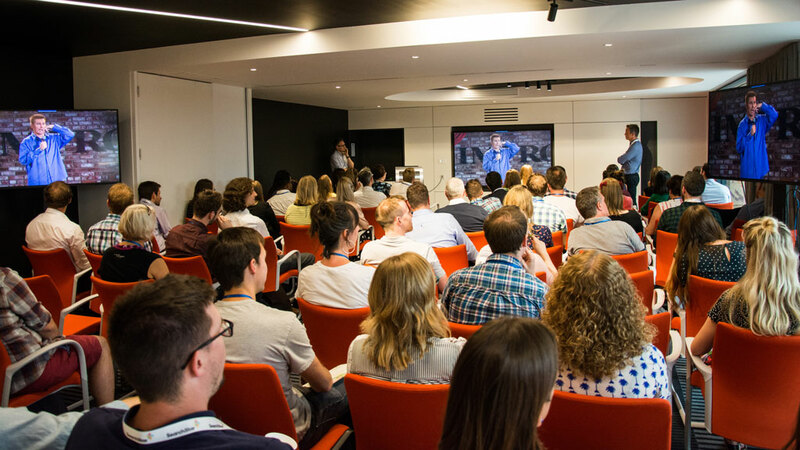 With helpful advice on-hand from the SearchStar team, these sessions proved to be an excellent way of bringing the topics of the day to life. Ryan Webb, SearchStar’s own Conversion & Analytics Director, introduced the conference with reference to our testing methodology. In all the optimisation work we do, we need to ask “What is happening?”, “Why is it happening?”, “So what could/should be done about it?”. We then need to measure what happens as a result of any changes we make. As it turned out, the topics of each of the presentations progressed through these steps exactly. It’s almost like it was planned! 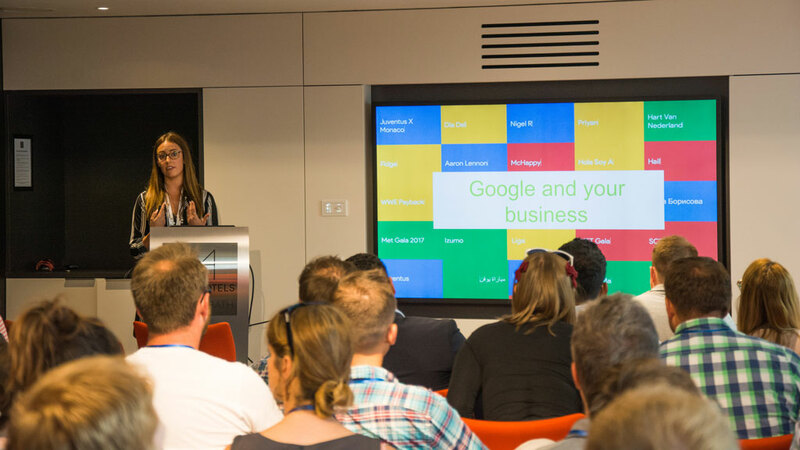 Meaghan got the afternoon off to a great start with an in-depth look at some of the key trends observed by Google and the implications of these for the measurement, attribution, and optimisation of successful marketing strategies. The most important trend picked out was the rise of the “Super-Empowered Consumer”. It’s been 10 years since smartphones became commonplace, and this has had a fundamental impact on online consumer behaviour. Super-Empowered Consumers are curious, in that they always want more information (Searches for “Best <product>” have risen 80% over the last two years). They are also demanding and impatient (sound lovely, right?) with an 85% rise in searches for “Where to buy <product>” alongside a 100% increase in searches related to Same Day Shipping. They expect their smartphone to assist and, with ever-increasing sophistication and anticipation, Google’s technology is able to provide. The fact that consumers are so reliant on the assistance offered by smartphones and other devices highlights the need to rethink measurement. Consumer journeys to purchase are massively complex, and a failure to consider how users interact with brands across devices, across channels and across the off- and online worlds will result in huge missed opportunities. To achieve success, advertisers must start by measuring accurately in each of these realms, attribute credit for conversions in as sophisticated a way as possible, and, finally, take advantage of automation and machine learning to act on the data. And, would you believe, Google has products to do all of this. Hurrah! Google Analytics: What’s Coming in 2019 and Beyond? 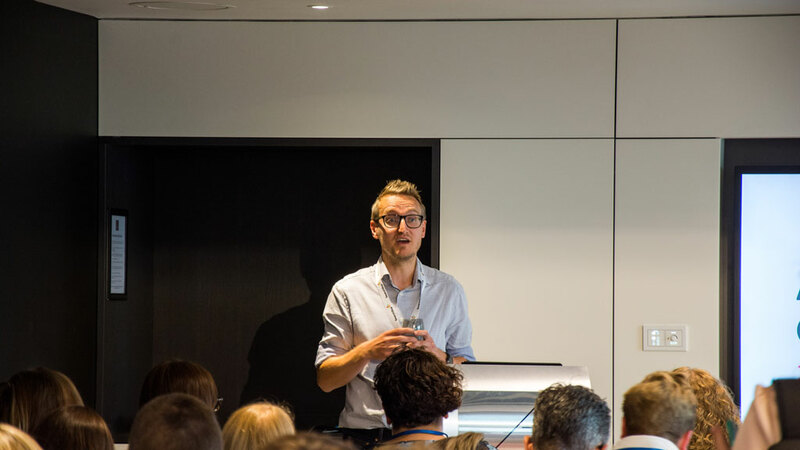 With the lead-in from Meaghan’s presentation, Jon was well set to run through some of the more recent developments in Google Analytics to show everyone how to improve their measurement and attribution capabilities. Perhaps the most important of developments is the advent of User Analysis within Google Analytics, which allows reporting on a per-user level, as opposed to a per-session basis. In the age of the super-empowered consumer, website sessions are generally on the rise but it’s the users themselves that we should be paying attention to. The advent of a new, centralised tagging solution - Gtag - alongside the cross-device attribution enabled by Google’s Attribution 360 platform are additional tools to help marketers understand consumer journeys. Jon also had a look at the pros and cons of investing in Google Analytics 360. The premium product comes with a price tag to match - in excess of £100,000p.a. However, compared with the free version, it offers Enterprise-level site owners with significant benefits in terms of data accuracy, freshness and integration capability with Google’s display and video products. If your website nets £10M in revenue annually, it doesn’t seem unreasonable to spend just 1% of this to track it properly. If the talks from Meaghan and Jon covered the “What’s Happening” aspect of our conversion optimisation mantra, Natalie took us very firmly into the topic of “Why It’s Happening”. Natalie’s background in behavioural economics helped elucidate the various reasons of why people make the decisions they do and the “levers” that marketer can pull to influence this. While, in crude terms, marketing can help persuade people to take a particular course of action, we need to pay attention to the other things that influence decision making: what Natalie called people’s Autopilot and their Awareness. In this instance, Autopilot equates to the “Thinking Fast” of behavioural economics, with consumers being influenced by small nudges to their everyday, instinctive behaviour. Awareness plays more to the considered needs of a person - the decisions made not on Autopilot and without overt persuasion. If we want users to view a video, we might use persuasion by promoting the video. We might also rely on their Autopilot to not bother skipping a video if we simply autoplay it. But we might further play on their awareness by asking them if they want to watch the video - because they might think they need/ought to. By being aware, ourselves, as marketers, of the fact that consumers aren’t just data points in an Analytics package but are real human beings that need to be approached in a human way, we can expect to have much more success in our ability to influence decision making. How Can Qualitative Customer Insight Complement Data Analysis? Peter followed neatly on from Natalie, with a look at how some of the themes that she explored in theory worked out in practice - covering the “Why” and the “So What” of our methodology. After pointing out that most companies fail to translate a desire to be customer-centric into actual customer-centricity, Peter echoed Natalie’s sentiments surrounding the need for marketers to look in the mirror and understand that customers are real people too: emotional, innovative and irrational. Peter showcased a successful qualitative data project he had run with the logistics firm UPS to highlight the benefits of prioritising empathy with customers over just having some quantitative data about them. The importance of knowing customer pain points was amusingly brought to life by a video courtesy of Brian Regan. The take-home message was that if we can think like our customers, and understand what’s important to them, we’re able to go beyond simply having some data towards being able to know what’s causing the data to look as it does. Successful application of this principle stands a great chance of delivering real business returns - though you might need some quantitative data to prove this. Ryan concluded the afternoon with a round of case studies to provide more detail on the “What > Why > So What > Measure” method, and show just how successful it can be. In terms of the “What”, this relates to “What is Happening?” and should be framed in terms of a real business question, e.g What is the conversion rate for a particular user segment? Answering such questions relies heavily on getting measurement and attribution right, as covered by Meaghan and Jon at the start of the conference. The talks from Natalie and Peter showed the importance of the next step - understanding why the data is the way it is. 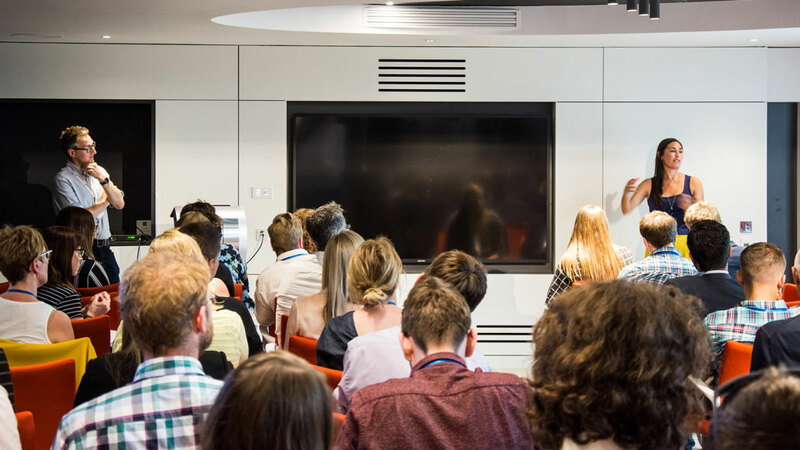 In his case studies, Ryan showed how we can gain this understanding through processes such as staff surveys, customer surveys, user testing, and session recording. These provide us with qualitative insight that will help put our quantitative data in context and start to suggest a means of delivering an improvement. The “So What” step concerns proposing a means of influencing the “Why?”, and normally involves testing an alternative to the existing state of affairs (landing page, booking funnel, page layout). Finally, the measurement aspect is crucial in making sure that changes that have been made have a positive impact. Once again, this returns to quantitative data - very often data that show SearchStar have had a hugely beneficial impact on the efficiency and effectiveness of our clients’ websites!